July 4th is almost here, and it’s time to get ready for the big day! 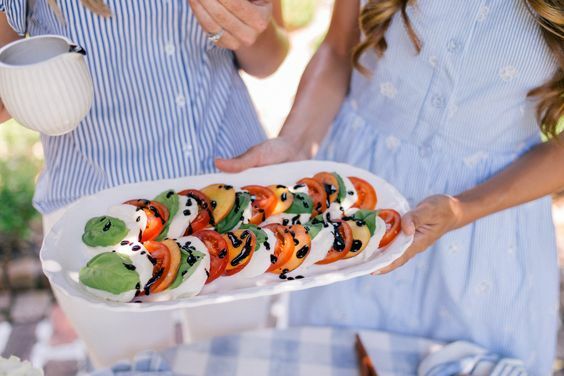 Hosting a party for Independence Day? 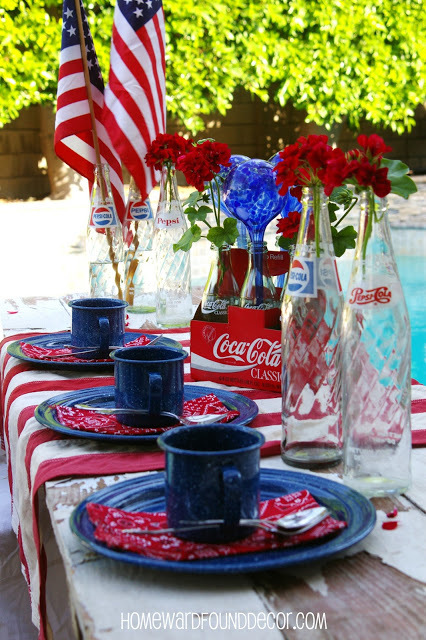 Get inspired by these 8 patriotic tables! 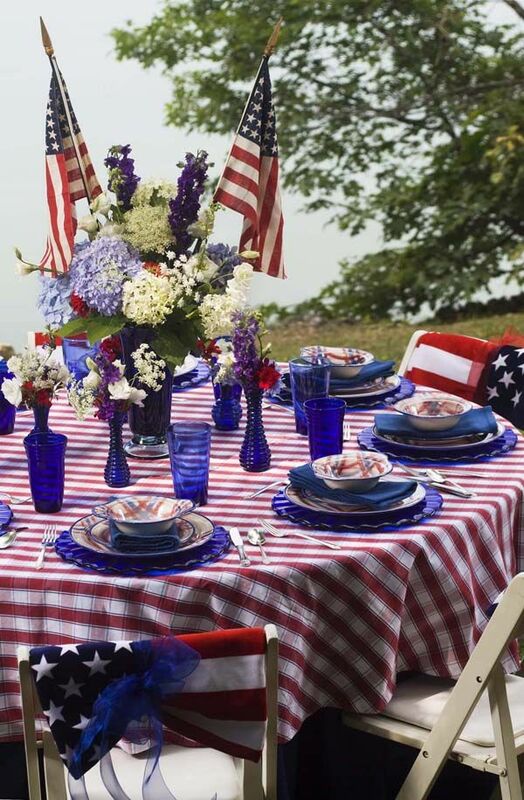 If you’re hosting a get-together, party, or BBQ for July 4th, it’s time to get your outdoor tables ready for the big event. 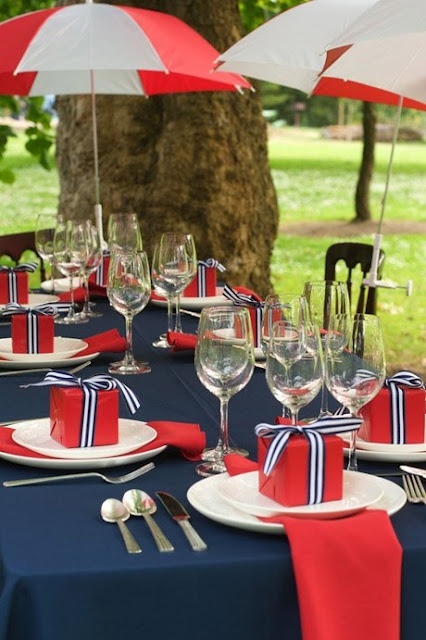 If you’re feeling uninspired, take a look at these festive tables! 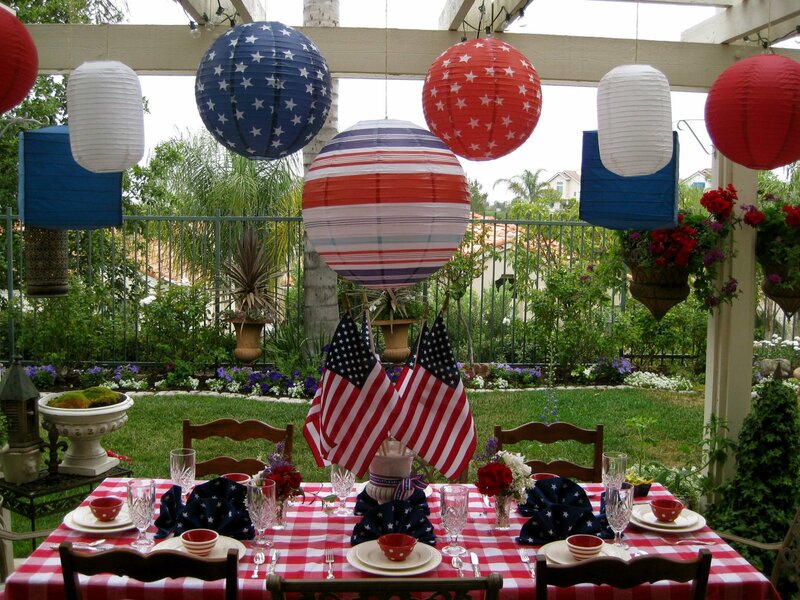 We love the different sized patriotic lanterns hung above this rustic table. The plaid tablecloh and navy napkins add old-world charm to this festive table. 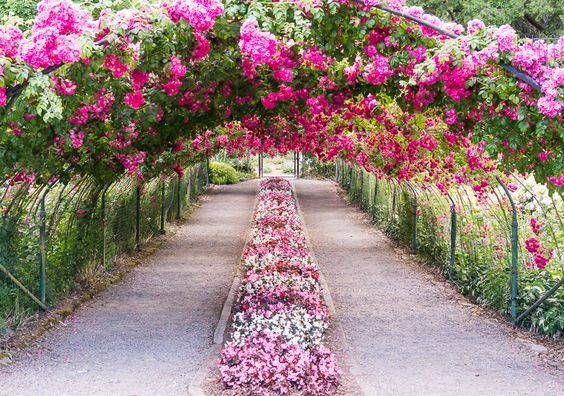 What’s not to love about this table? The pinwheel centrepiece is a fun and original idea, and we love the mason jars used as cups. 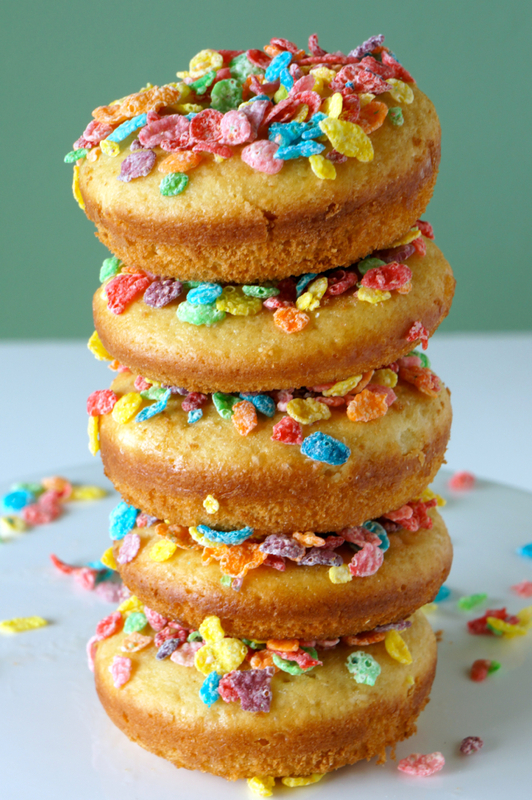 The cupcakes placed on mini chairs as party favors complete the fun theme of the table. 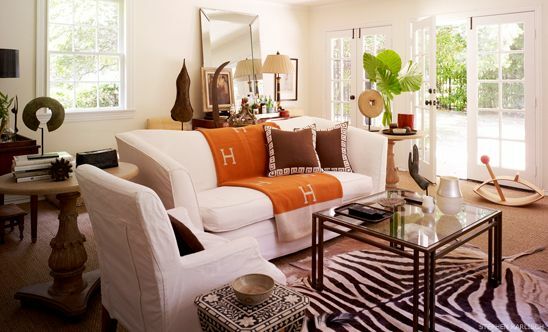 This table is simple, but still elegant and welcoming. 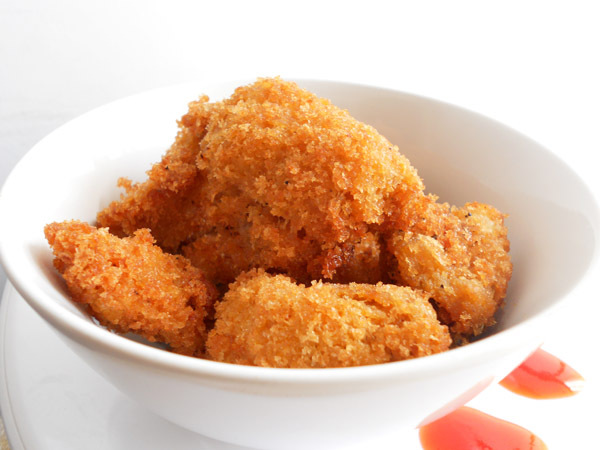 We especially love the mini present party favors! Too cute! This nautical-themed table is colorful, but not too busy. 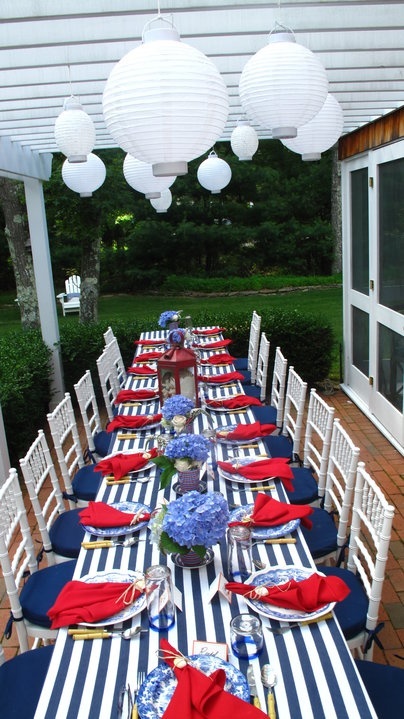 The red napkins and navy chairs keep the striped table runner in check, and the white lanterns give the space a more open feel. This table gives a nod to the old Americana of the 50s with a country flair. We love the bandana napkins and the rustic style metal cups. The Pepsi and Cola bottles used as vases look charming, and are a simple decoration that can be recreated on a budget. 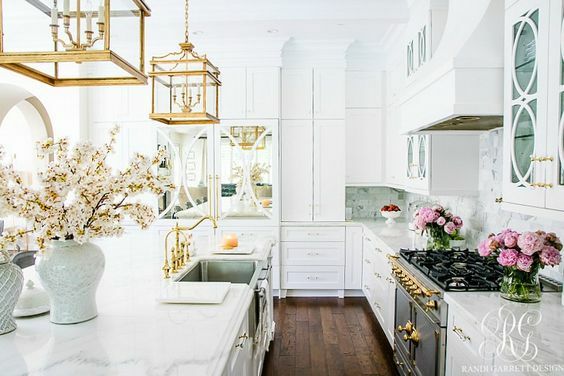 Just because you’re on a budget, doesn’t mean you can’t throw together a lovely table! 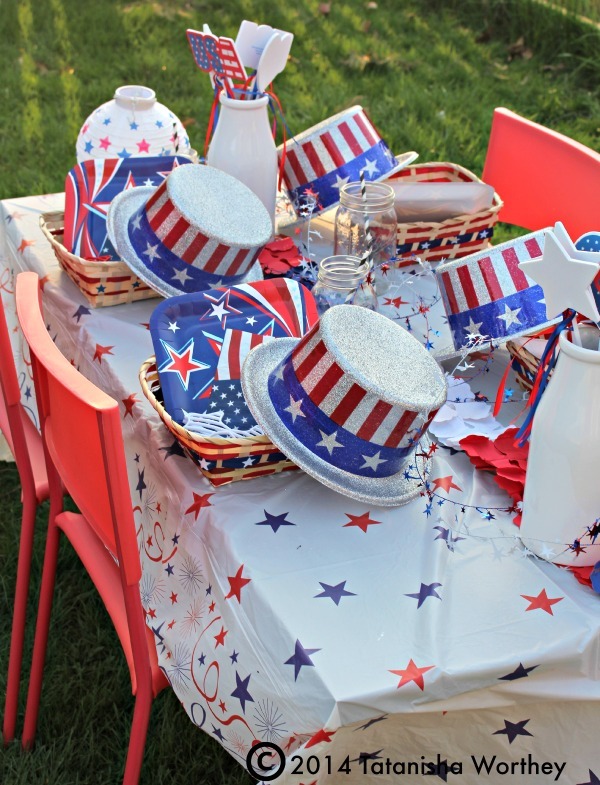 We like how the plates and utensils are kept in baskets, and the Uncle Sam sparkly top hats add a bit of fun! When decorating your table, don’t forget the chairs! 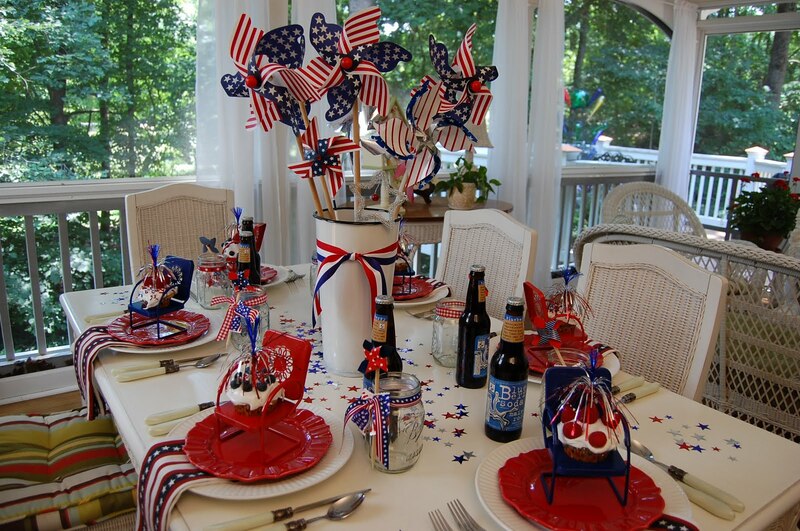 These chairs are decorated with an American flag and held together with blue tulle. The plaid tablecloth makes a big statement, but is toned down by the blue charger plates and cups. 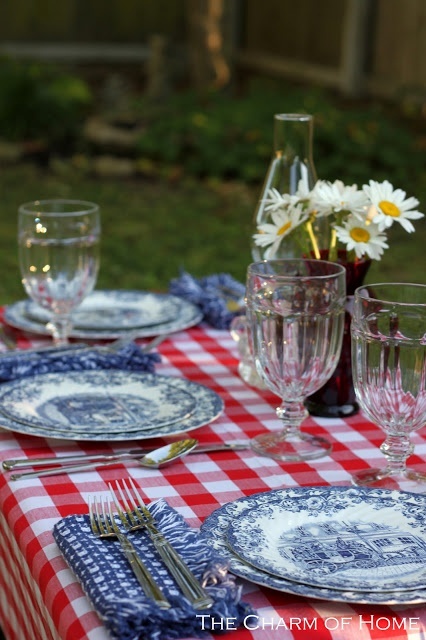 For a vintage look, antique plates were paired with a classic plaid tablecloth. The glass goblets are simple, but still keep the vintage feel. Photos: Enmerit, Party Resources, Nest Nest Nest, Homeward Found Decor, Premeditated Leftovers, Tobi Fairley, The Charm of Home.